Watching the Ninagawa Macbeth is akin to floating through an art gallery. One is presented with stunning picture upon picture, buoyed by stirring music. It's easy to forget the play itself and be simply carried away by the sheer physical beauty that confronts one on stage. The evening opens with two old women tottering through the crowds to part the doors of a mighty butsudan, a traditional Buddhist altar. After offering a silent prayer to the dead, they settle down at the wings of the stage. As the action unfolds, they laugh and wail. At the end of it all, the women shutter the doors and leave. This sets the play up as a memorial to one's forebears, giving one a chance to reflect upon and learn from the mistakes of the past. 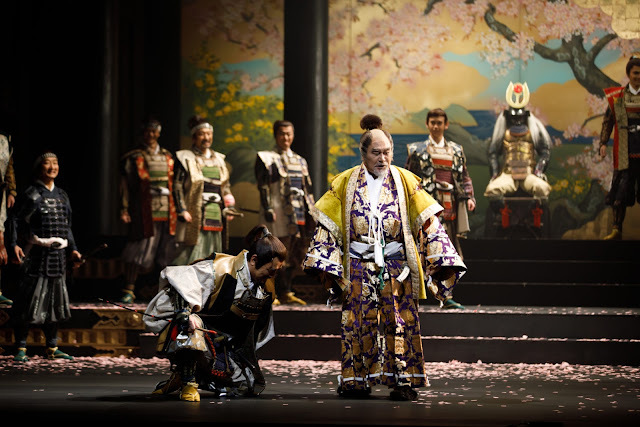 The Scottish play is magnificently transplanted by Ninagawa to the Azuchi-Momoyama period of late 16th century Japan, a time of power-hungry warlords and valiant samurai. Loyalty being a particularly lauded virtue, Macbeth's murder of King Duncan to usurp the throne and fulfil the Weird Sisters' prophecy emerges all the more dastardly. Ninagawa works with the creative team to conjure up a richly realized world, full of gilded chambers and cavernous pools of light. Duncan's castle is decked out in stunning lacquered walls. A scene between Macduff and Malcolm takes place amidst gigantic statues of warriors. The period costumes are a lavish riot of colour. 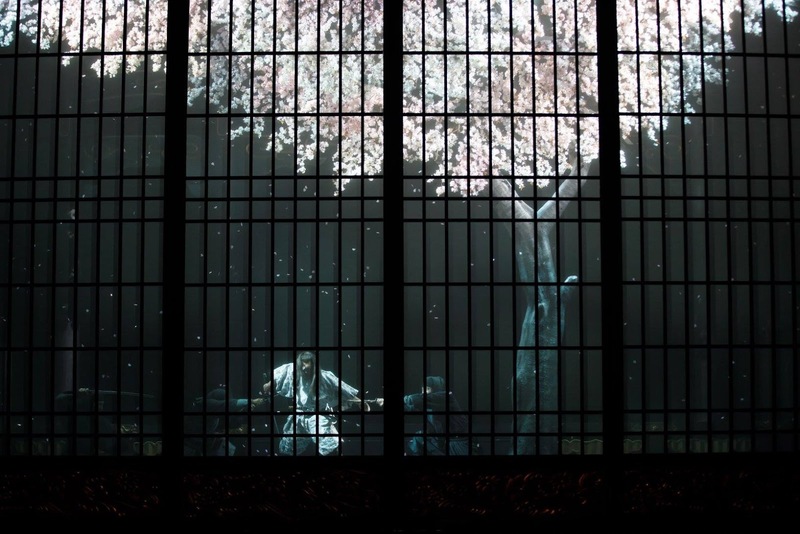 Central to the action is the production's most iconic image: a cherry blossom (sakura) tree whose petals fall slowly, caressing the stage in a dazzling pink snowstorm. It's both an symbol of beauty and mortality and grounds the play in a distinct Japanese aesthetic. The murder of Banquo, so often done swiftly and in darkness, is practically a dance amidst sakura petals, the human cries of pain drowned out by stirring music. It's a scene of breathtaking beauty, the visual tableau infusing the action with incredible pathos. 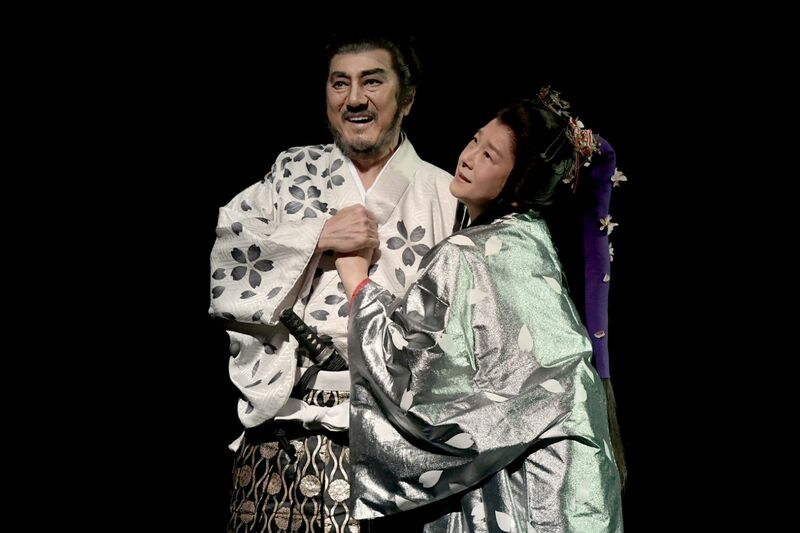 Veteran actor Masachika Ichimura commands the stage in the title role, conveying the grandeur of a soldier whose ambition gets the better of him and finally tears him apart. 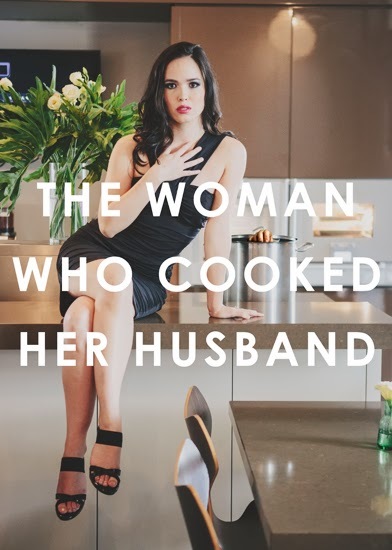 He is ably matched by television star Yuko Tanaka's magnificent Lady Macbeth who hurtles along, wild-eyed, at the prospect of power, only to crumble into a shell of a woman as her own body betrays her. Kazunaga Tsuji catches perfectly the moral steadfastness of Banquo and Testsuo Sagawa invests the fatherly King Duncan with gravitas. There is an especially riveting performance by Keita Oishi, whose Macduff lacerates the soul in the scene where he learns of the savage slaughter of his family at the order of Macbeth, sinking to the floor in unspeakable anguish. Ninagawa's adroit blend of Japanese and western elements appears everywhere. The Weird Sisters are played by men in a kabuki act, adding an extra layer to the declaration that "fair is foul and foul is fair". 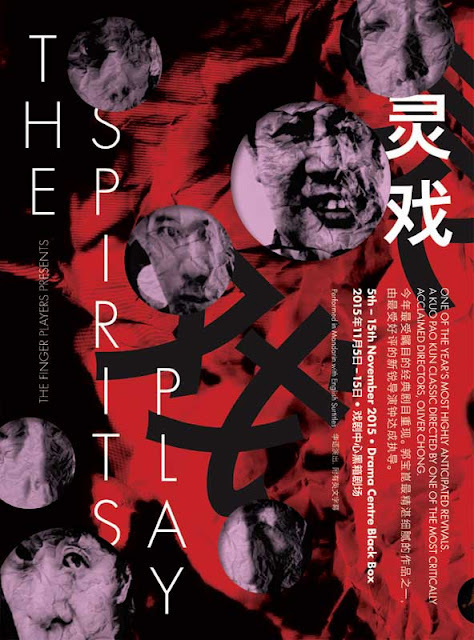 The stylised gestures and iconography of Noh theatre infuse the action. The Japanese text itself remains faithful to the source material; all character and place names are the same and Shakespeare's words are reproduced unabridged in the English surtitles. Snatches from Gabriel Faure’s Requiem and Samuel Barber’s Adagio For Strings cast an almost dream-like pall over the scenes that makes them simultaneously beautiful and heart-rending. Framed by the butsudan, the play becomes a cautionary tale of yore, a meditation of the inhumanity of man against man played out on an epic scale. 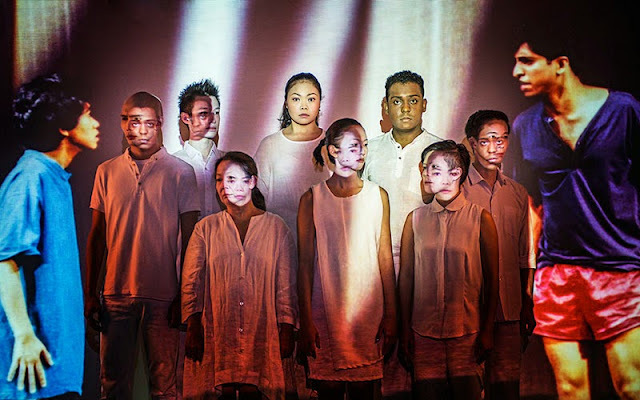 Ninagawa's vision of this great tragedy is, no doubt, a stupendous one and perhaps one of the finest examples of Shakespeare being given the royal Asian treatment. The spectacle almost overwhelms at times but this Macbeth is a veritable tonic for the soul, a testament to its celebrated director whose portrait descends over the stage in the curtain call for his well-deserved moment of glory.